There is no better time to take a look back at the political events of the past 100 years as seen through the eyes of sport and sports people. Ten key international authorities in their respective fields lead you through the most important political elements of contemporary sport. This book is the first of its kind. 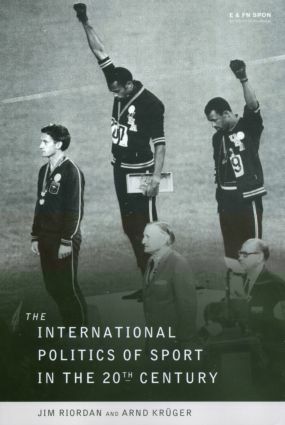 It provides a wide ranging perspective through time and place and will be an invaluable tool for students studying sport from an historical and political perspective, and also for those who have a general interest in sport at its interface with politics.